I’m sure by now you have caught on to the hottest street style trend that is by far the coziest – sneakers. Sneakers are so forgiving when walking around all day, and the latest styles are sure to turn heads. There are so many cute styles I really want to have like 10 pairs, haha. I love how futuristic sneakers look these days. They are statement pieces on their own. You can style them with an insanely chic outfit, or rock them with jeans, a T-shirt and a jacket. 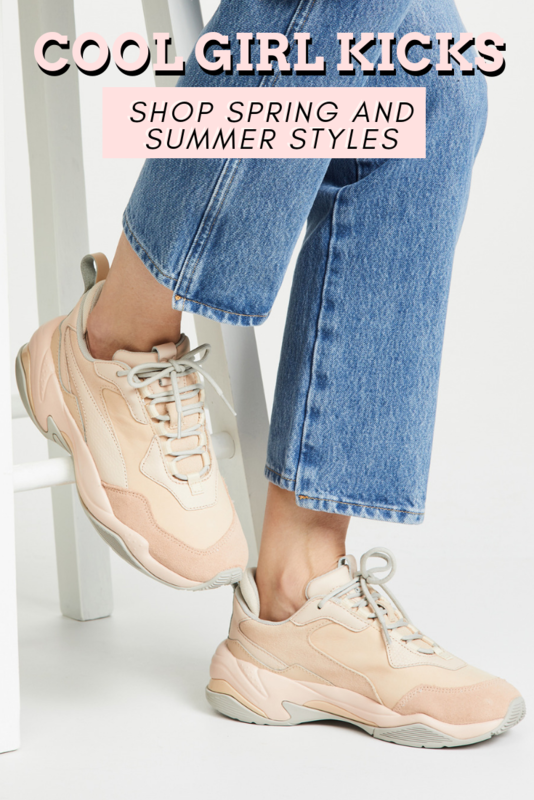 Shop countless amazing styles below, and let me know what you think of this cool girl sneakers trend. I am all for it because I value comfort and style – with a good pair of kicks you can have both! sneakers are such a great trend!